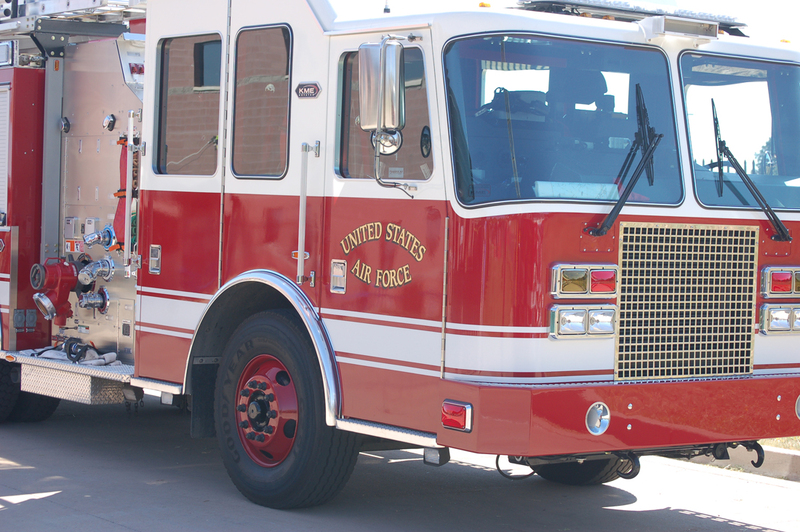 Engines from C.S.F.D., the U.S. Air Force, and Fort Carson for the opening ceremonies. 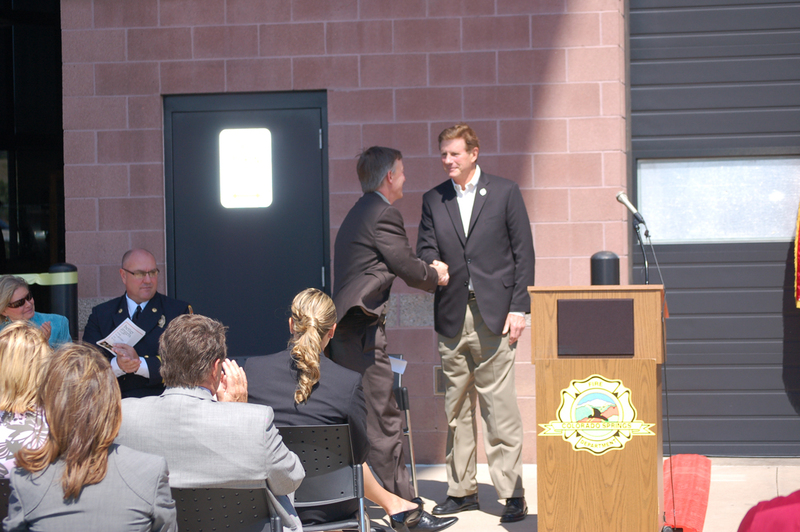 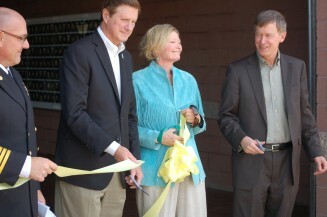 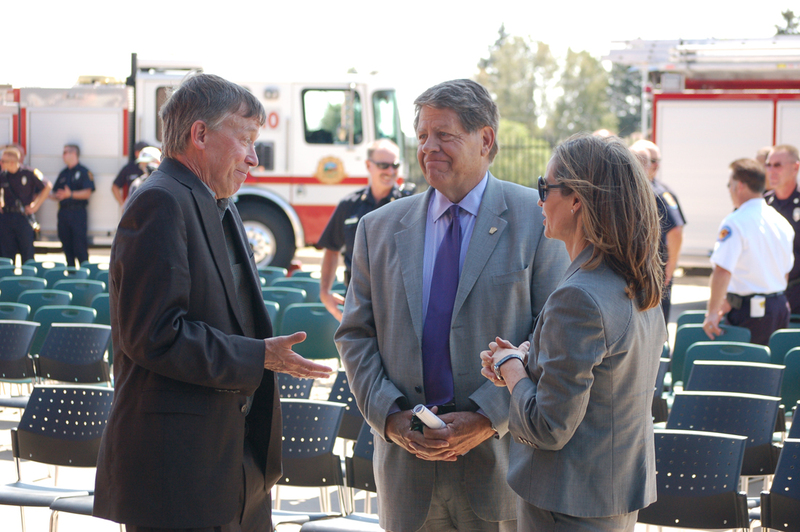 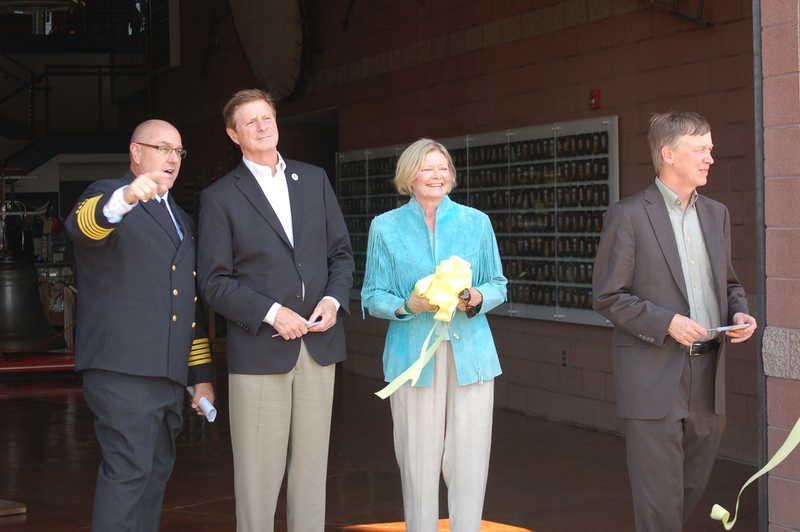 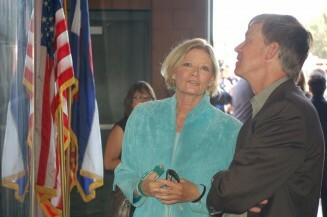 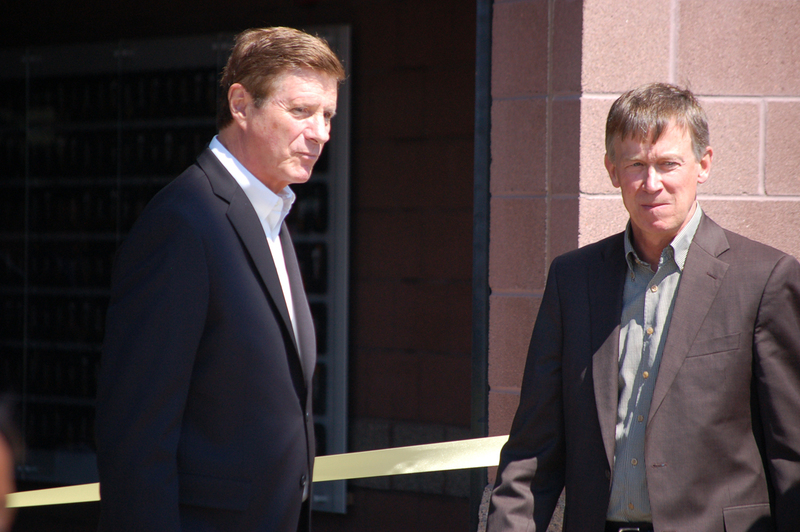 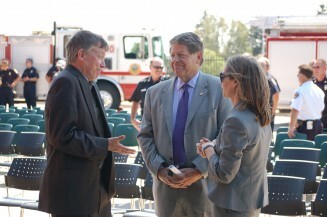 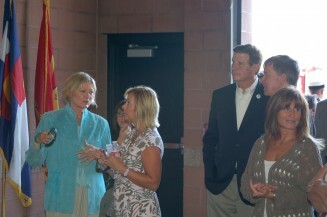 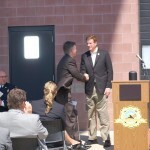 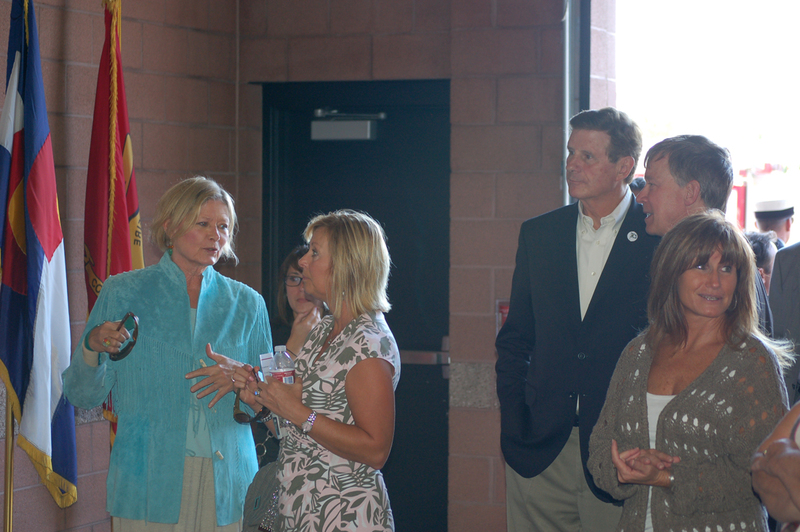 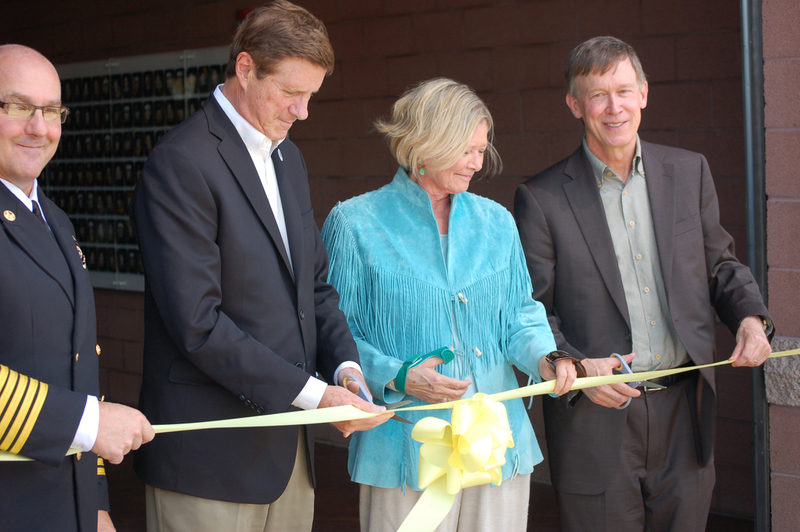 The guests of honor: Governor John Hickenlooper (r) and Colorado Springs Mayor Steve Bach. 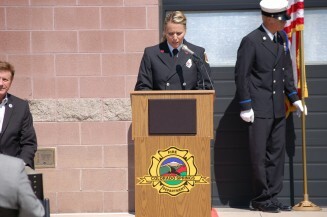 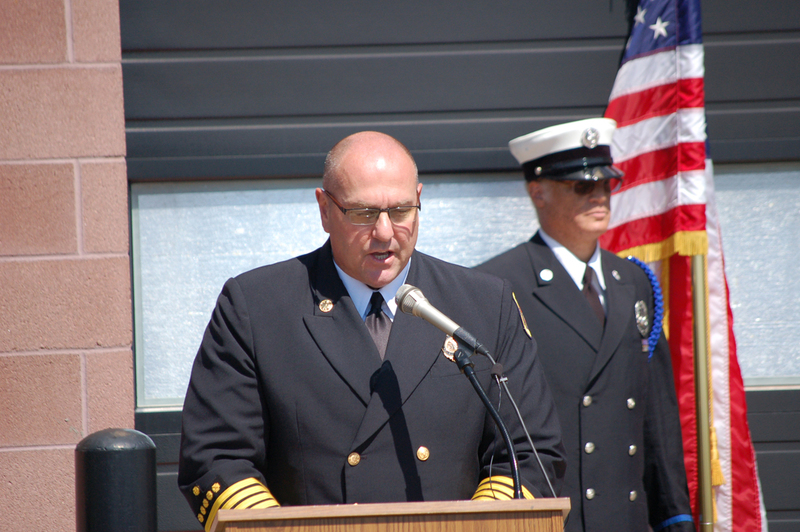 CSFD Communications Director Sunny Smaldino opens the ceremonies and introduces CSFD Chief Rich Brown. 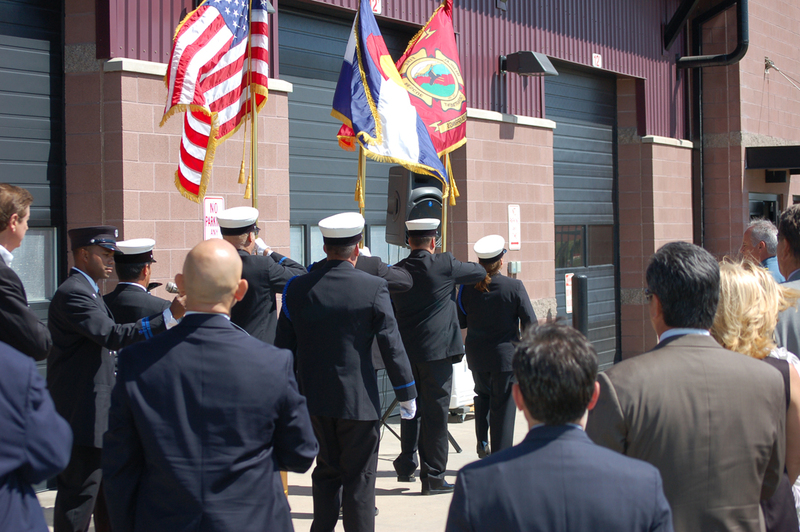 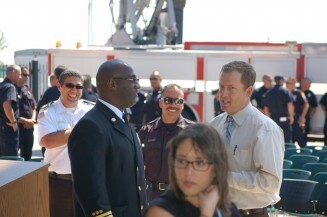 The Mayor, Governor and Fire Chief all spoke of the terrible fire this last summer. 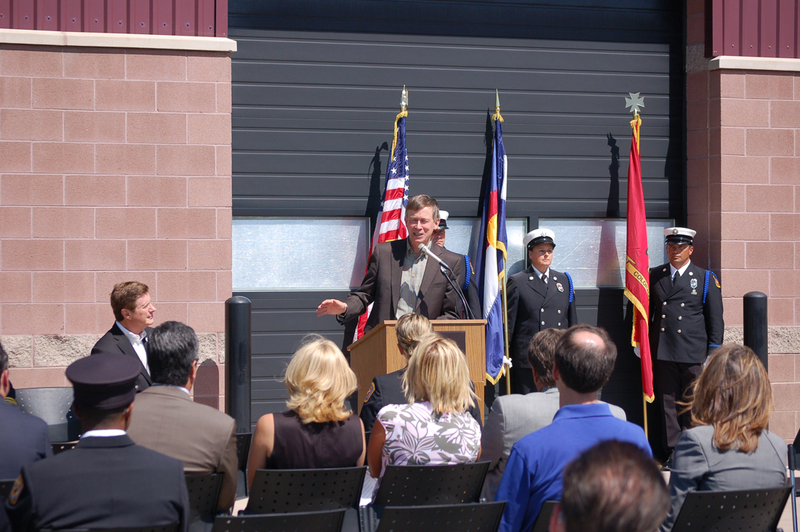 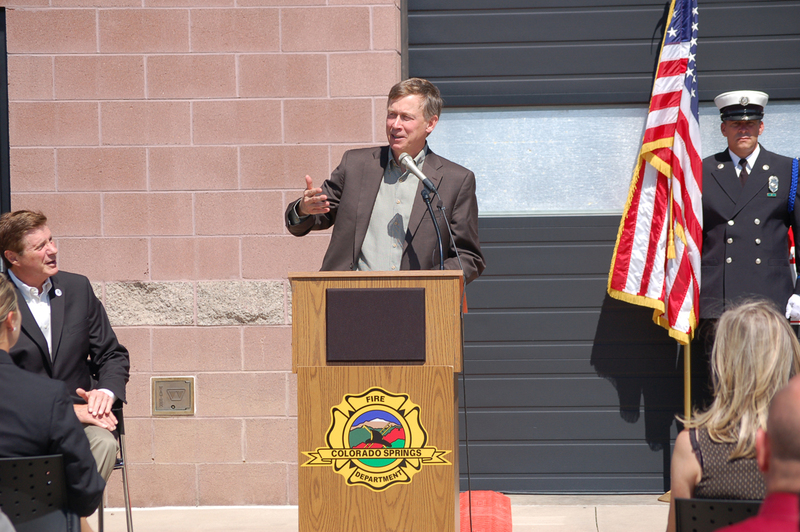 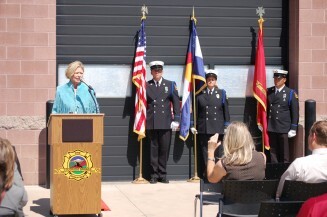 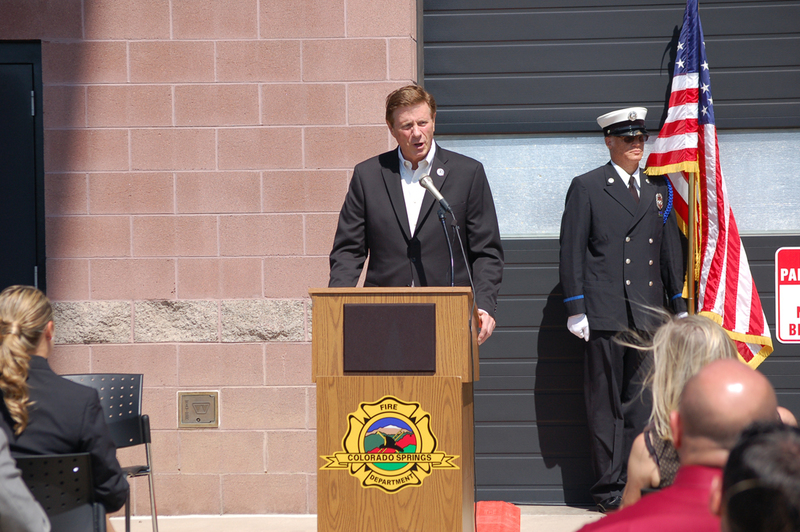 I spoke about my love for Colorado and how living there for 16 years put fire and firefighters on my radar. 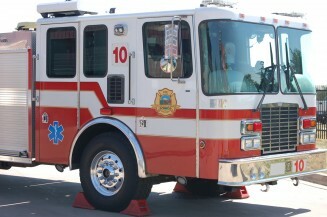 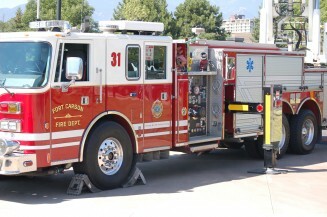 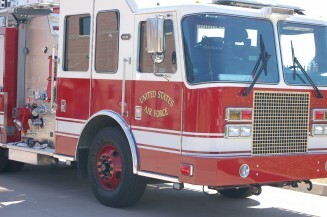 Coloradans need to be fire aware as a way of life. 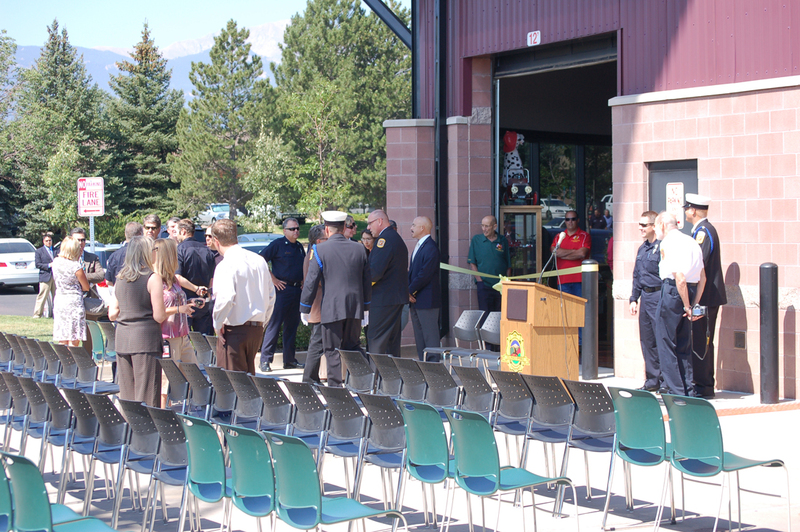 They need to follow fire mitigation procedures and decide well ahead of time what to evacuate if the need arises. 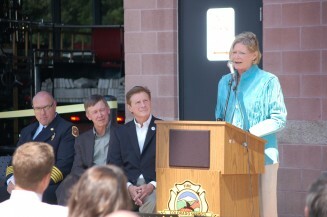 Every fire zone I have ever seen in Colorado has thank you signs to firefighters painted almost everywhere. 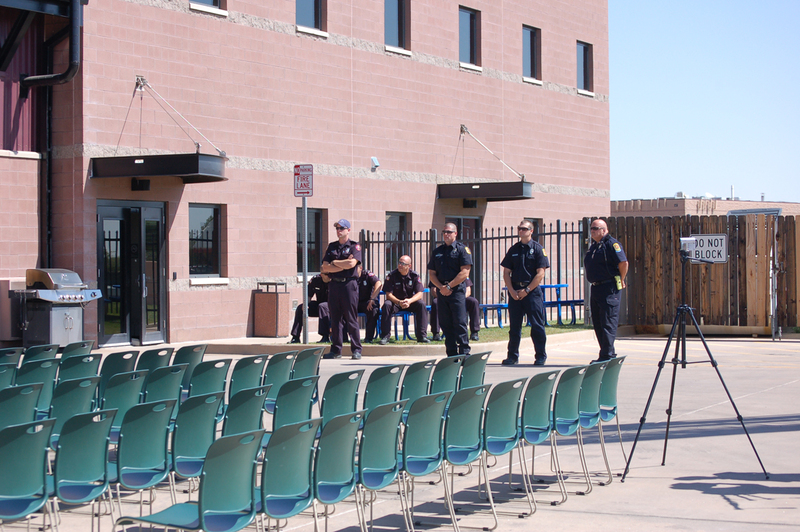 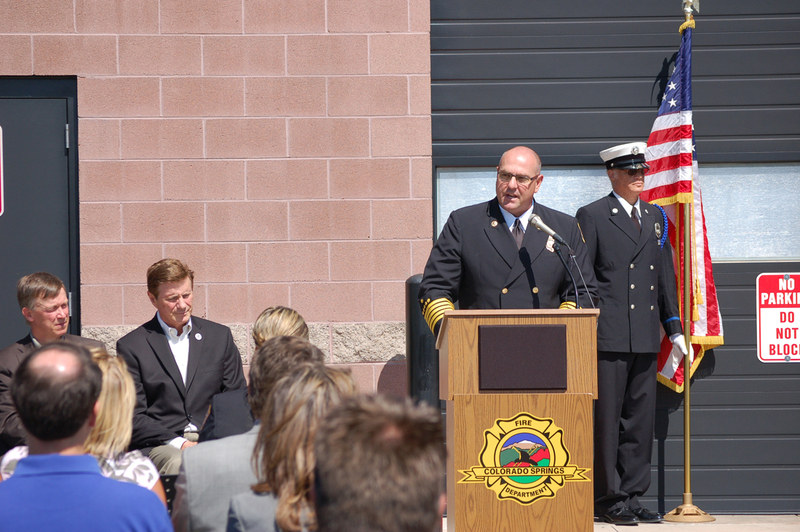 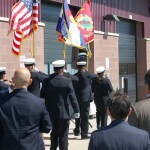 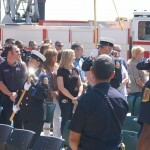 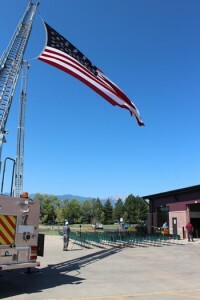 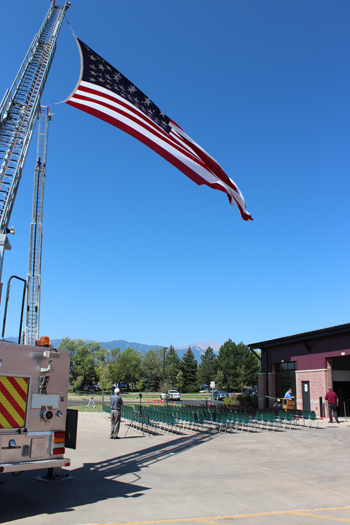 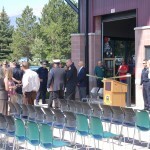 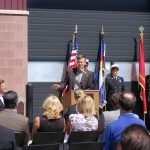 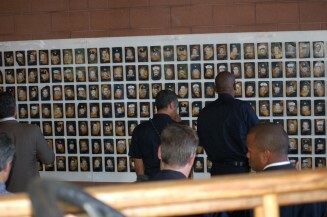 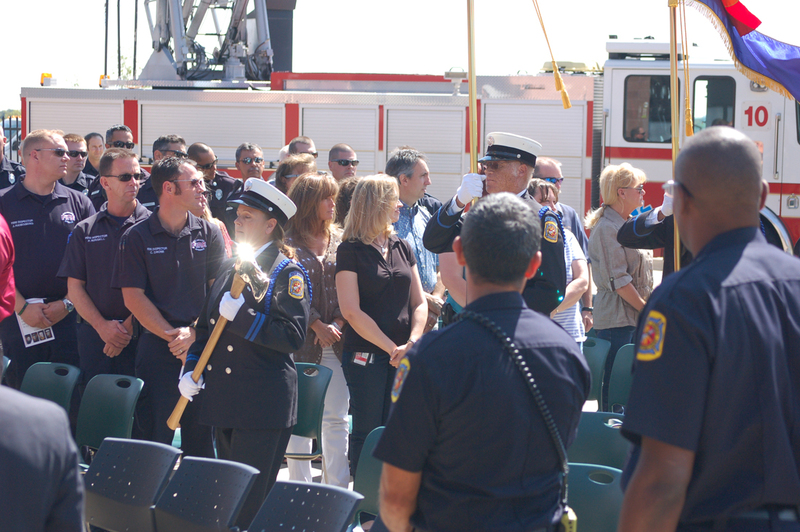 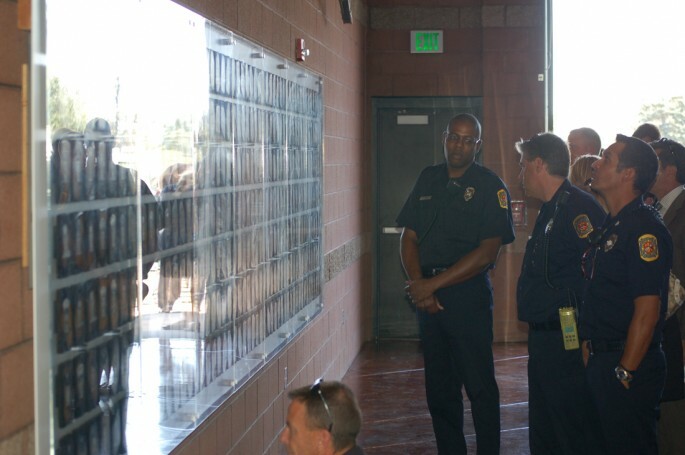 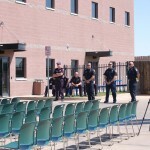 Thanks to Ron Hrinek of the Colorado Springs Fire Department for these pictures of the opening ceremony! 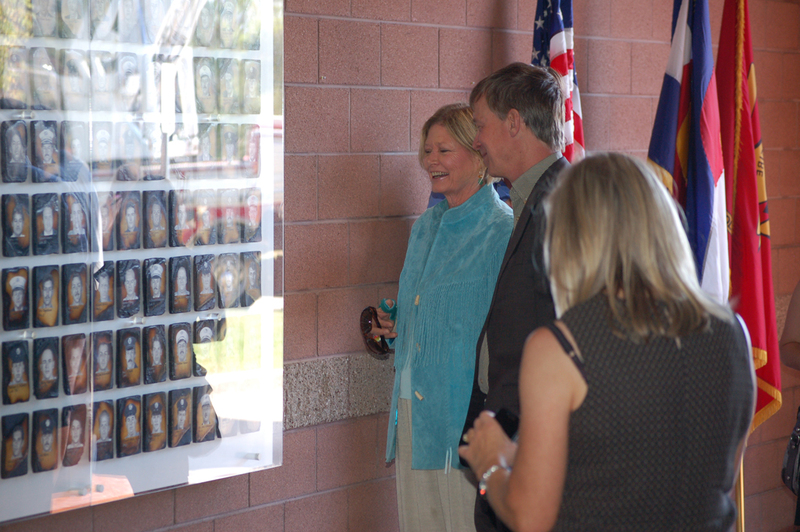 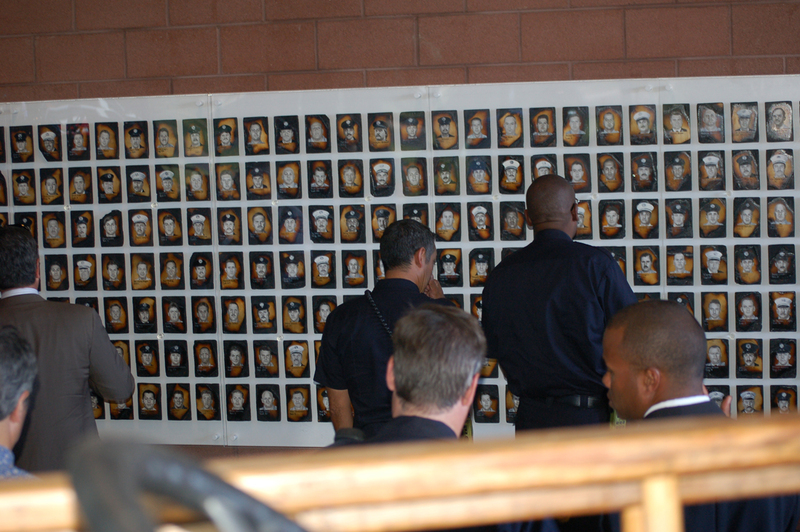 This entry was posted in Colorado and tagged 343, 9/11, better angels, Colorado Springs, Dawn Siebel, FDNY, firefighter, firefighters, firefighters of 9/11, hickenlooper, memorial, paintings, Steve Bach. Bookmark the permalink.